The merging of two companies, while exciting, can also be a time of great upheaval and change—and a real challenge for the entire company. At RHI Magnesita, the employee app "MyRHIMagnesita" has played a key role in successfully bringing together the newly combined company's 14,000 colleagues. The app is one of the main drivers of cultural transformation. 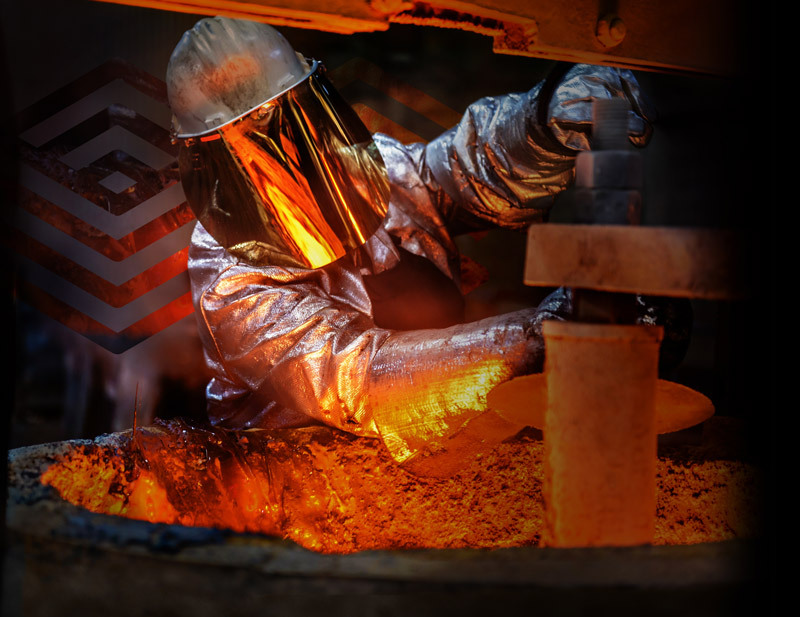 At the end of October 2017, former competitors RHI and Magnesita successfully merged to become the world's leading supplier of refractory materials and products. Today, RHI Magnesita has a combined total of more than 14,000 colleagues on four continents, with 35 production sites, more than 70 sales offices, and approximately 120,000 different products being supplied to 180 countries. The newly formed company generates over 2.7 billion euros in sales. Clearly the merger of these two industry giants has been a huge success, but it didn’t come without certain challenges. The “MyRHIMagnesita" app went live on the day the merger was completed, but before it was implemented it had to meet several important requirements. Reaching the more than 60 percent of the company’s remote employees who don’t work at a desk with a computer was a top priority, the goal being to let them feel comfortable (in eight different languages!) with their new company culture. Before the app was launched, internal messages usually ran top-down via the company intranet. This was a problem considering that the majority of employees working in factories lacked intranet access and/or a company email address. The only way to reach them was via printed communication. Whether letterhead, the employee newspaper, or company posters and brochures, communication was largely analog. "Communication mainly traveled in one direction—but that's not a good way to get started on implementing cultural change. We wanted more momentum, more direct communication, stronger collaboration, and more involvement on the issues. An employee newspaper could no longer fulfill these requirements. An interactive tool was necessary and important,” confirms Stefan Rathausky, senior vice president of Corporate Communications at RHI Magnesita. Global growth in the number of employees and sites following the merger called for new strategies and tools for driving cultural change and integration. Employees need access to information no matter where they are in the world. 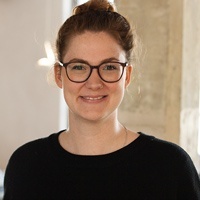 As Katharina Skarabela, Team Lead Digital & Online and head of the App Project, explains, "We want everyone, from Brazil to China, to know what's happening at our headquarters in Vienna, and vice versa. Communication in a company of our size must be global and interactive. As the world market leader and driving force of the industry, we also want to play a pioneering role in terms of communication." RHI Magnesita has a new intranet where change remains in full swing—even months after its launch. The new intranet provides the workforce with the documents they need in their daily work, but it also shows news and guidelines. In addition, there’s a monthly newsletter sent to employees via company email. The goal of the app is to provide all of this information on the smartphone of every employee, regardless of their location and independent of the intranet and newsletter. As an added bonus, the app serves to promote interaction and presents an opportunity for colleagues to share information with one another. Above all, it integrates non-desk workers into the flow of information. RHI Magnesita began designing the app in June 2017. 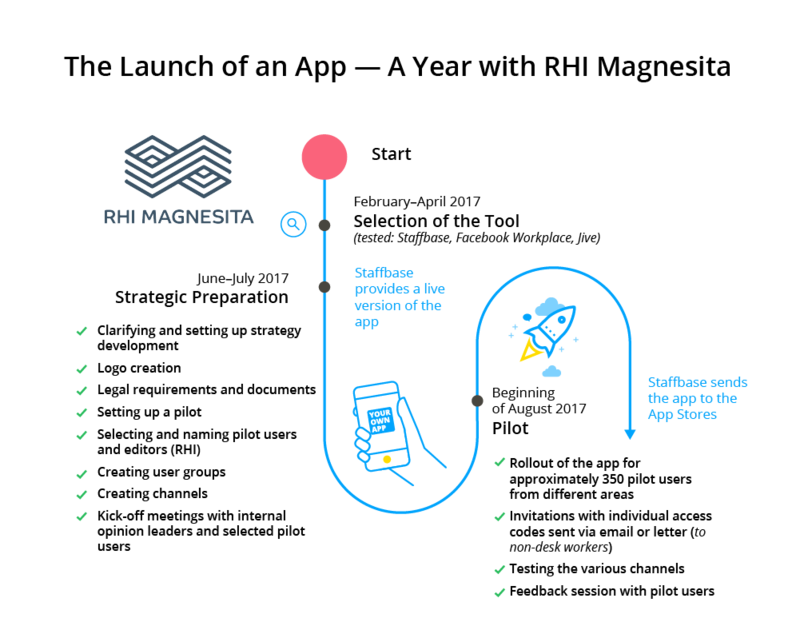 The first steps included logo development, translation into all necessary languages, and getting the app into the app stores. The pilot was launched at the end of July with 350 pilot users. Two groups were particularly crucial for the pilot: the workers council and the employees of the entire Veitsch production plant in Styria. The workers council ensured that the app complied with data protection regulations and generated the desired added value for the workforce. The factory tested how non-desk workers would accept and use the app. The response to the app was overwhelmingly positive. A survey in August showed that the new tool was well received. The only drawback: News posts weren’t always displayed in English due to the predominantly German-speaking pilot user group. In September, additional pilot users were invited to test all functionalities in the app, including its multilingualism and accessibility in the international app stores. On the day of the official merger at the end of October, the new app was ready for download to all 14,000 employees, branded with the new corporate design. 40 percent of employees were invited directly by email. An additional 8,000 personal invitations were sent by snail mail in the weeks that followed to all locations worldwide, and others were distributed by local HR departments. Three months after the launch, approximately 40 percent of all employees are registered in the app, 70 percent of whom are active users. The shortcomings from the test phase were also solved, with all corporate news now available in German, English, and Portuguese. Information of particular importance is also published in Spanish, French, Russian, Turkish, Chinese, Hindi, and Italian. While the app mainly provides global and local news, there are many other use cases. For example, the CEO has his own news channel where he tells employees about strategic initiatives and reports personally and informally about his site visits. This direct connection—strengthened by the use of videos—is instrumental in conveying the new corporate culture and creating team spirit. In general, RHI Magnesita depends on videos to promote an even greater direct connection with its respective target groups and foster identification with the company. There is even an RHI Magnesita YouTube channel. 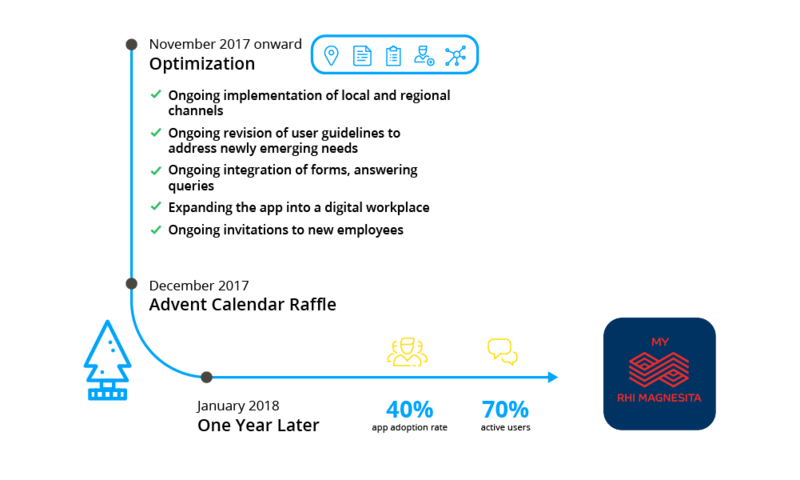 Gamification is another feature of the app, making it even more appealing to the workforce. In December, for example, there was an Advent calendar filled with questions about the company. Ms. Skarabela is well aware of the importance of gamification in corporate communications: "With the app, we quickly found a way to playfully present information and convey messages about the newly merged company. The Advent calendar was a real hit.” The summer of 2018 will see another competition in the app: The World Cup Bracket Challenge. Employees in Brazil are already talking about it, says Ms. Skarabela. Another popular feature is the Short News Channel, where colleagues from around the world can post personal news. When one employee posted a photo of his recently-born grandson with the caption, "Maybe a new RHI Magnesita employee?" the likes went through the roof. It was evidence that the emotional factor of the app clearly shouldn’t be underestimated. Employees are already familiar with the effects of social media, where sharing and commenting can create a sense of communal belonging. To make using the app easier, there’s an App Manual available in eight languages. There's also an "App Tips" news channel explaining, for example, how to subscribe to local news, personalize profiles, and turn push notifications on and off. 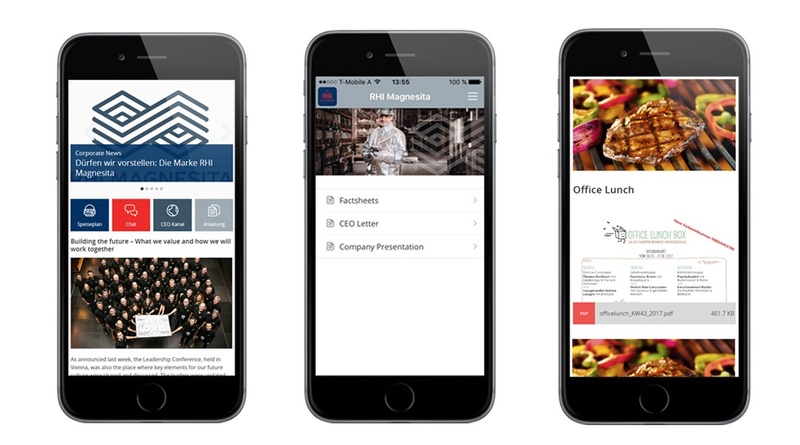 In addition, employees can find useful information in the app, such as menus from local restaurants, press articles about RHI Magnesita, fact sheets on the company, various brochures, event registration forms, surveys, and important guidelines. The chat function is also an important feature. Winners of the Advent quizzes were notified directly via chat. The publication of shift schedules is another use case—currently in the testing phase. The aim is to replace paper schedules and allow the workforce to conveniently access shift schedules in the app anytime and anywhere. Surveys, a comprehensive corporate calendar, and additional channels for external stakeholders such as customers, investors, and the press are also in the planning stages. The latter, public channel would be a novelty, opening use of the app for external communication. Stakeholders could obtain press releases from the company directly via the app. "We started small with the app and created a solid foundation. Now it’s all about convincing even more colleagues of its value and further expanding the tool, especially at the local level," explains Ms. Skarabela. Initially, only two colleagues worked on the app. Ms. Skarabela took over the entire project and received assistance from a colleague who was responsible for putting corporate news content online. As the app has evolved, so has this process. Today, three people from the global communications department edit the app. The organization of the local site channels is individually designed; sometimes a dedicated team takes care of content, sometimes all site employees are allowed to post. The themes are just as varied. The app is used to share internal announcements as well as photos from trade shows, production and customer successes, and reports from internal events and workshops. The variety of content is part of the charm of "MyRHIMagnesita." To ensure that the app isn’t an afterthought, RHI Magnesita uses push messages. But managing time zone differences is no small challenge for a global company. In order to avoid disturbing colleagues on weekends or outside working hours, a timetable has been set for the publication of news. Push notifications for individual channels have also been disabled so as to not overload employees with messages. The important topic of safety and health has also found a place in the app. "The safety, health, and well-being of the people who work for us are our top priorities." Safety guidelines and videos can be found on the company's website as well as within the app. Applications for the Vienna City Marathon—participation in which is supported by the company—were also made available in the app via forms. "The app allows us and our employees to make news and information available conveniently with our smartphones, anytime and anywhere," is the satisfied conclusion of Ms. Skarabela. The bottom line is that "MyRHIMagnesita" is much more than just an app. Along with its integrated desktop version, it has become the central information and communication hub for the newly merged company, playing an important role in promoting cultural change. By focusing on employees, the app serves to acknowledge their vital contributions to the company's worldwide success. 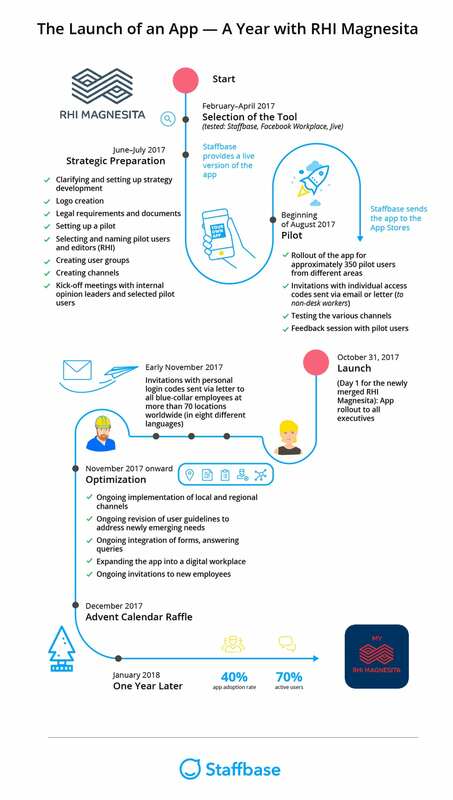 The complete infographic illustrating the launch of the RHI Magnesita app can be downloaded here. Sina is a communication specialist at Staffbase. She wants to help companies engage their employees and find ways to make work more fun. She writes about internal communication, mobile employee engagement and how to use an app in today's evolving workforce. In her free time she fights for gender neutral toilets and LGBTQ rights.